Suunto has announced an all new dive computer that fits your style. The D5 comes with a full color display and lots of dive-related functionality. Built on pretty much the same tech as the Suunto 9, D5 is meant for the recreational diver. It’s designed to be simple and easy to use allowing you to focus on what’s important – exploring the underwater world. 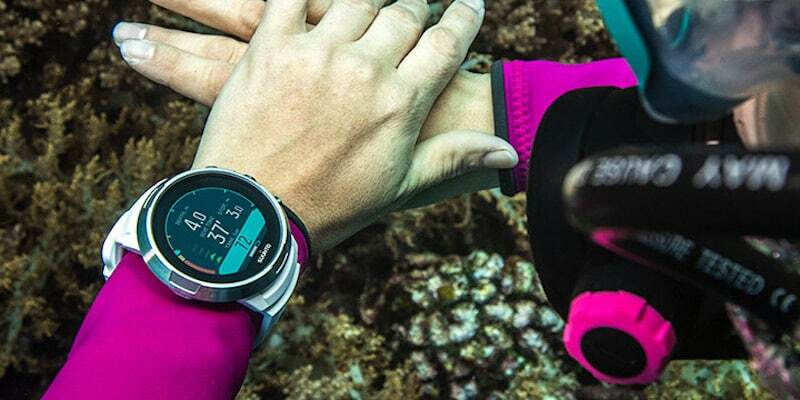 The gizmo has the full gamut of features you’d find on other Suunto dive computers. This includes depth, dive time, gas time, no decompression limit, safety stop timer, tank pressure and much much more. It also features a digital compass, a brand new vibration alarm mode, log, history and four dive modes to choose from. Furthermore, if you pair your D5 with the Suunto Tank POD before diving you’ll be able to follow gas pressure straight from your wrist. The D5 should also integrate seamlessly with the new Suunto dive log app. Its wireless Bluetooth connectivity will allow you to transfer your dive logs to the mobile phone app. In the comfort of your living room, you can then re-live and share your dives, add photos and browse other users dive logs. Suunto’s answer to Garmin’s Descent MK1 is made from stainless steel and reinforced composite, coupled with mineral crystal glass to protect the full color MIP display. It has three physical buttons that allow you to easily switch between views and settings. Rated to 100m depth the watch weights 90 grams and is slightly larger than Suunto’s current D model range. You’ll be able to come up with a look that fits your style thanks to interchangeable straps with a quick release spring bar. Simply choose a color that matches your diving gear or pick your favorite color silicone strap or leather. Thankfully, this is not a device you’ll be charging often. Battery life is an excellent 20-40 hours dive time on a single charge. 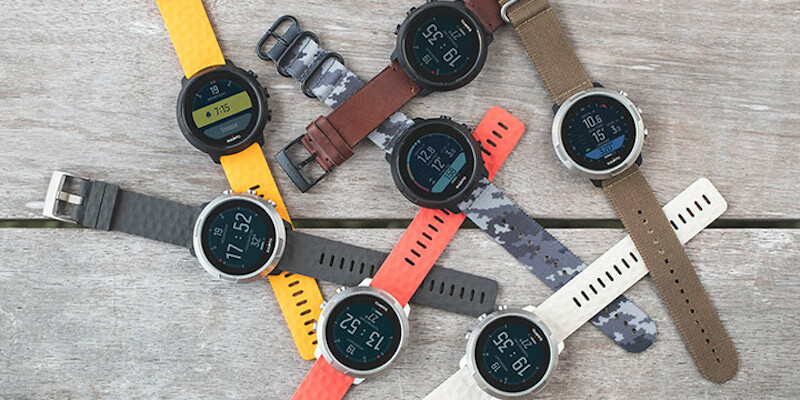 The Suunto D5 is launching in early 2019. Premium All Black and Line Black models with set you back $899. The White and Black will cost $849. To find out more, head over to suunto.com.